For all the computer nerds out there Intel is getting ready to open up a ten core CPU to the open market........soon. 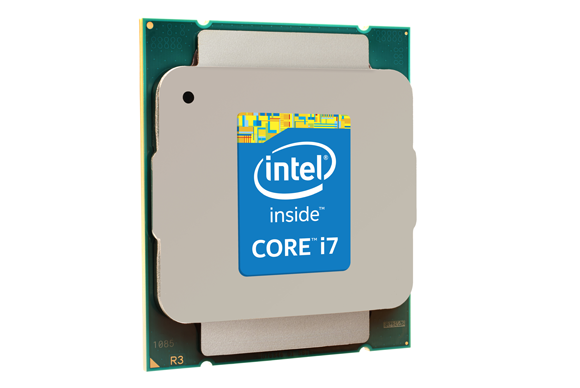 “The most unmissable part of Intel Broadwell-E is the flagship Core i7-6950X, which will be the first deca-core processor for the commercial market,” ASRock said. This is interesting because INTEL's latest line of CPUs have been a bust, as the computer market has dried up. Why this matters: Intel's Skylake CPUs (and Windows 10) have failed to buoy saggng computer sales since they debuted last year, so the company has increasingly looked to gamers and hardware enthusiasts to move product. Nothing builds excitement like more CPU cores, which the Core i7-6950X has in spades. Through most of the late 1980's, the 90's, and early 2000's, each of the new MS OS's pretty much required a newer, more powerful hardware system, but now, the latest Win 10 will run reasonably well on systems running the older Win 7. No need to buy newer hardware to run the latest version of Windows. You're right JW, and it seems to me that Windows 7, or maybe XP represented the end of that steep climb upward. People just aren't upgrading like they used to, and they really don't need to be doing it. At this point the industry is in the doldrums, that's for sure. It will be interesting to see what comes along next. Today, poeple do everything online, they don't do anything localy anymore. Some are not even storing pictures on their pc, sorry, mobile device. Games require a basic graphic card, as well as 3d and architecture softwares. But not realy high processing power. Video compressing, and other multi media works are the only thing I know which need multicore processors, as strong as possible. But who is ripping DVDs anymore? For all of the Windows 10 users, there is an anniversary coming up soon. And with it will be coming more promotional apps. This fellow is not so enraptured with it all. Remember, they've already been very pushy about upgrading from older versions, and I'm getting tired of it. 3 updates in a row, they modified the file association for comon picture file extentions such as JPG, gif etc to open in their smartphone app picture viewer. I was realy upset that everytime I hade to change the file association again. Fortunately in the last update they didn't. This is one of the reasons why I continue to love my Opera browser. And because it remains a small portion of users, percentage wise, it is almost never hacked as the bigger ones are. Just saw this on my PCWorld update today: U.S. seizes domains of KickassTorrents, site's owner arrested. It will be interesting to see if it is down forever, or moved to another location. To another location. A 20 million dollars per year business is not in the hand of a single person. Tomorrow you will know their new adress. Hey, has anyone noticed today's Major Hacking across the Eastern US? I hope Intel goes out of business after they laid off 1000 US citizens and hired Indians to replace them. This guy may want to be a little more careful about what he says regarding this religious cult. Heresy can get you burned at the stake.